Austin & Kat CBD Infused Dog Biscuits | What Are the Benefits of CBD for Dogs? Shiner is a senior dog who shows signs of aging. I am always interested in ways that I can prolong her longevity naturally. 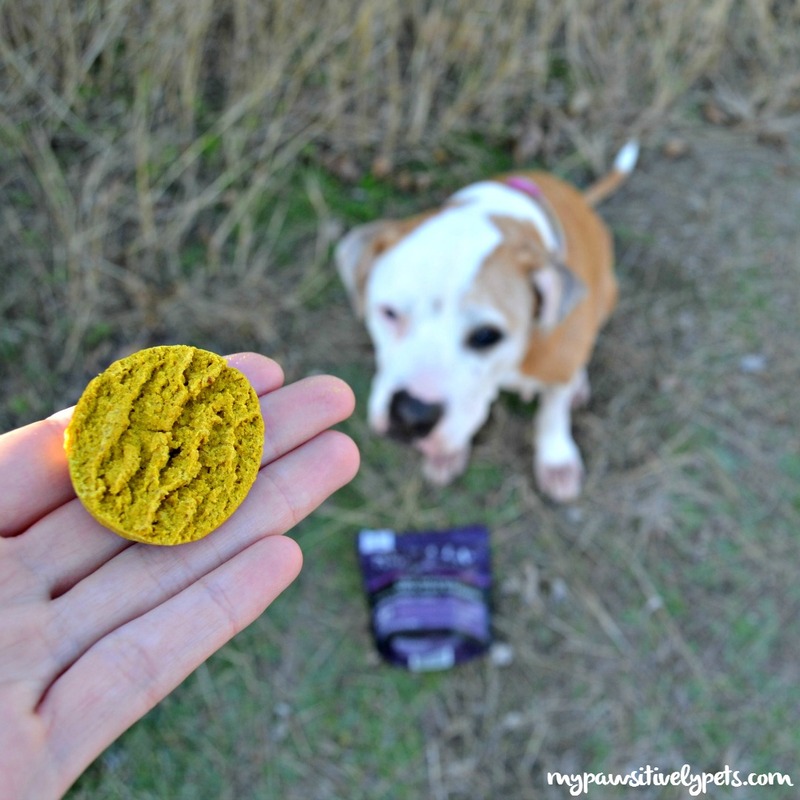 We were recently asked to try Austin & Kat's CBD Infused Wellness Dog Biscuits and I thought they sounded like a good supplement for her. Austin & Kat all started while founder, Kat Donatello, was searching for a supplement to help her aging dog, Brady. After extensive research and talks with her veterinarian, she worked vigorously to make the perfect HEMP biscuits for her dog. She saw drastic improvements with senior dog Brady after taking CBD. Brady has since passed but her new puppy, Austin, now enjoys the same benefits from what are now Austin & Kat CBD dog biscuits. What is CBD? CBD is short for Cannabidiol - a compound that is found in HEMP and cannabis. CBD is a natural substance that interacts with a pet's endocannabinoid system to create physical changes in the body that can be highly beneficial. Our pet's endocannabinoid system is the central regulatory system that affects bodily processes like digestion, mood, sleep, pain, inflammation, and anxiety. CBD also contains Omega 3 and 6 fatty acids and antioxidants which have ant-inflammatory properties. I decided to give Shiner Austin & Kat's CBD Infused Dog Biscuits for arthritis, better sleep, inflammation, and to calm her down a bit. Shiner is already quite calm, but as of late she has been licking her feet like crazy. I am hoping the CBD will help her to quit licking as much and soothe the inflammation on her toes from the licking. I do think it's helping and I would like to continue giving her the biscuits for longer. I did have great success giving her an Austin & Kat biscuit one night. It was late in the middle of the night and Shiner began to have another one of her strange "episodes". She couldn't get comfortable and was restless. If you remember, the last time this happened she had acupuncture. The vet believes it could be due to back and/or neck pain. The first time it occurred, it took her over an hour to finally lay down in one spot. When I noticed her exhibiting the behavior again, I gave her a CBD biscuit and it helped tremendously. She quieted down very quickly and was able to get comfortable in a short amount of time. I know what many of you are probably thinking - can CBD make my dog high? The answer is no. CBD is a phytocannabinoid that is non-psychotoxic, which means there are no feelings of euphoria. Austin & Kat's CBD Infused Dog Biscuits are safe, non-toxic, and non-habit forming. They've worked very hard on creating the perfect formula and dosage of CBD for dogs in their biscuits. If your dog takes other medications and you're worried if CBD is OK to give along with them, consult your veterinarian. If you'd like to know more about CBD for dogs, I recommend visiting Austin & Kat's website. There is a lot of good information on the subject there. Austin & Kat's CBD Infused Wellness Dog Biscuits are small batch baked in Maine. The biscuits contain hemp extract, coconut oil, oats, apples, peanut butter, cinnamon, and turmeric. They are available in 5mg and 2mg biscuits so you can choose which is better suited for your dog's size. 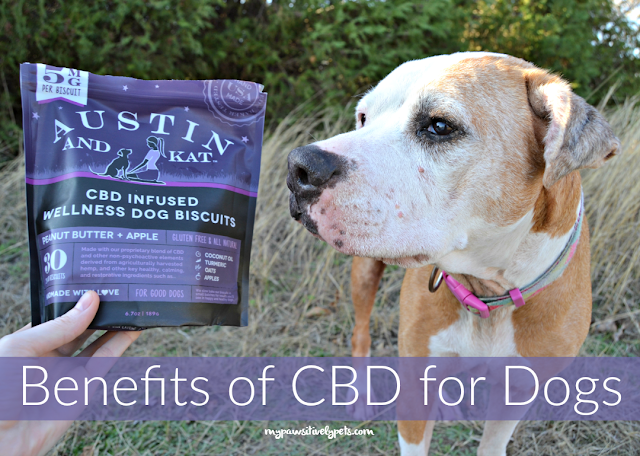 Do you think your dog could benefit from Austin & Kat's CBD Infused Dog Biscuits? We are partnering with Austin & Kat for a BIG giveaway! 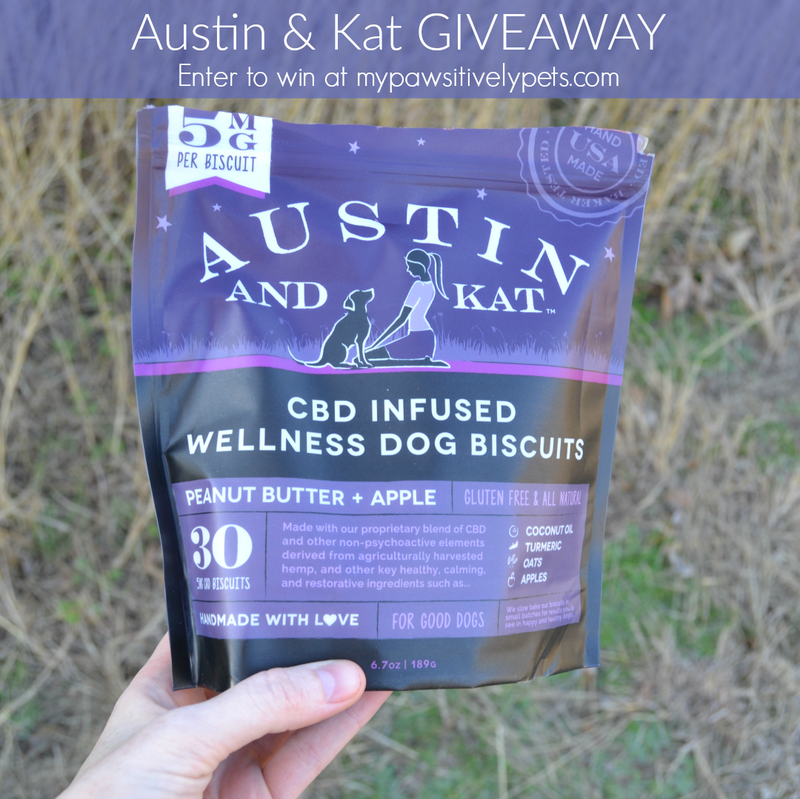 10 Winners will receive a bag of Austin & Kat CBD Infused Dog Biscuits. This giveaway is open to US residents only (void where prohibited by law), ages 18+. Giveaway ends on January 25, 2016 at midnight CT. Winners may be asked for feedback and given the opportunity to win an additional prize. Good luck! We received a free bag of Austin & Kat in exchange for our honest opinion of this product. Pawsitively Pets only shares information we feel is relevant to our readers. I'm sure CBD has benefits for humans too. They do smell amazingly delicious... enough that I probably wouldn't mind eating one. Something else I did not mention above! My Nova is full of energy and anxiety. She shakes her feet while she sleeps. I would love to see if these help calm her down so she can get a good rest! Those biscuits sound interesting! We have heard a few pet owners talk about CBD but weren't sure if they would actually work. I am glad they are helping Shiner! I have read great things about CBD oil for humans so I would like to try these biscuits out for my doxie. Sometimes my pup gets cysts on his feet, and it makes it painful for him to walk on them until they heal. I haven't used this brand, but have tried CBD oil treats for Koira. I've found they help a lot with her crate anxiety and anxiety while traveling. It is as big or bigger than the difference made by prescription anxiety medications that we have tried in the past. So it would be great to try these out for her and see how this brand works compared to what we've tried before. I have a good friend who has lung cancer, her swears that CBD oil helps him. I will try anything that could help my dogs. I believe that studies that shows this can help with a lot of different conditions. Interesting. Sounds a bit like catnip for dogs only more of a health benefit. Sort of... except they don't make the dog go crazy like catnip does ;) and yes they have lots of benefits. 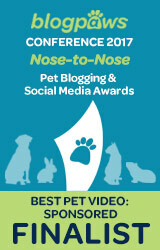 As a pet blogger, I always want to learn about new products to share with our readers. I'm sure our readers would be interested in learning about our experience with this product if we had an opportunity to try it. Mr. N has separation anxiety. Anything to bring it down a notch! i think the CBD would be good for my oldest dog who has dementia and has sundowners. it may help with the pain in her back and help her sleep. I'd love to see if these could help Luke with his anxieties and our senior girls with their arthritis and other aging issues. I hope you and yours had a very MERRY CHRISTMAS and are having a very HAPPY NEW YEAR. 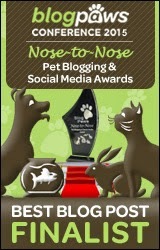 May we display your header on our new site directory, SiteHoundSniffs.com? As it is now, the site title (linked back to its home page) is listed, and we think displaying the linked header will attract more attention. My Lil Cookie has lots of anxiety both with people and other dogs. She is a rescue dog, product of an abusive puppy mill shut down in a town near me. We have been working hard over the last 3 years to rehabilitate her through love & progress is good, but I believe these treats can her feel better when she's really having a bad day & I can't wait to try it. Thanks to Shiner and Ann for giving my handmade, hand baked CBD biscuits a try. If you have any questions please feel free to reach out to me personally and I will happily help. 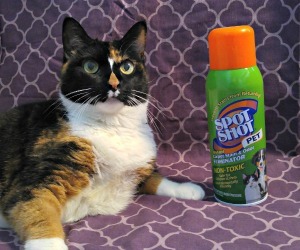 It's great that they are now making so many pet products that are actually good for pets! I am hoping it will help my old dog Shunta and keep my young one Bandit healthy, so would like to try it. Kandy is 17 years old and has pain and stiffness in her hind legs. I'd love to try these to see if they can make her more comfortable. Also Ella has extreme anxiety to loud noises and these might benefit her as well. I would like to try these for my older dog Kouga that suffers from thunderstorm anxiety. I have five senior dogs, so anything that might help enhance their lives is worth a try! Thanks. I have multiple rescued dogs with varying levels and types of anxiety as well as inflammation and we're always looking for better and more natural ways to help them. It is amazing to know that there are pet treats that focuses on something more of a treatment for some issues or illness of our pets. In this one, it helps shakes of our dogs to ease up or lessen it. I just do hope that this is not that expensive and hopefully by the time I decided to order it, they have stocks.